Few people know that the version that has been passed down in history –though based on Sojourner Truth’s original speech– was written by a white abolitionist in 1863, twelve years after the event. Sojourner Truth had never learned how to read and write and dictated her autobiography The Narrative of Sojourner Truth (1850) to a friend. 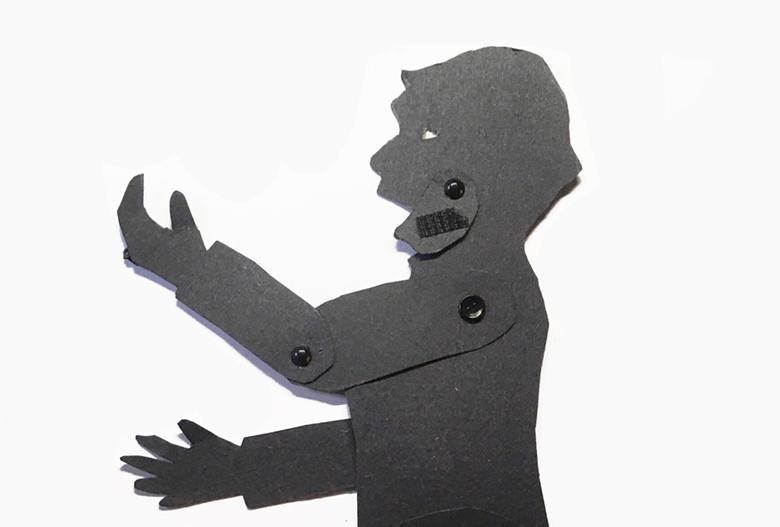 You may want to use puppets in your classroom or community to help children understand and experience history. 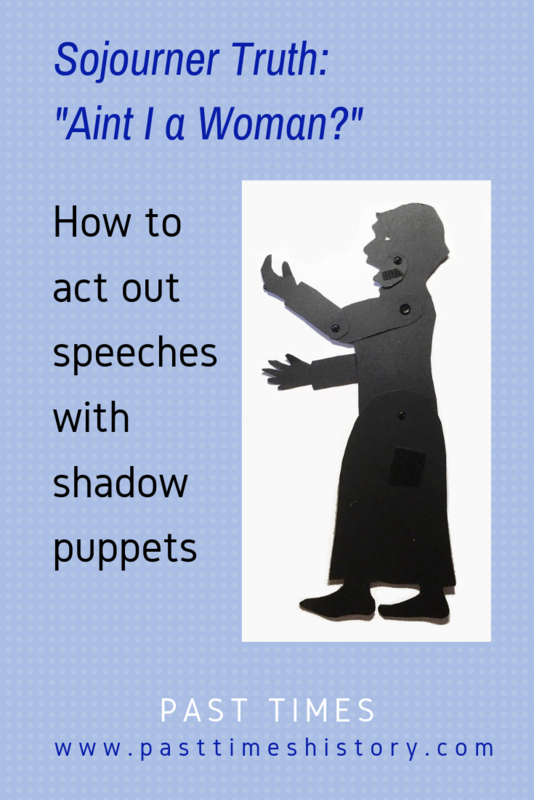 If you’re doing this, the resources and historical information above may be of use to you, but you’ll also need some practical information about how to move your shadow puppet and make it talk. To do this, download and print the pattern, and cut out the pieces and trace them on black poster board. 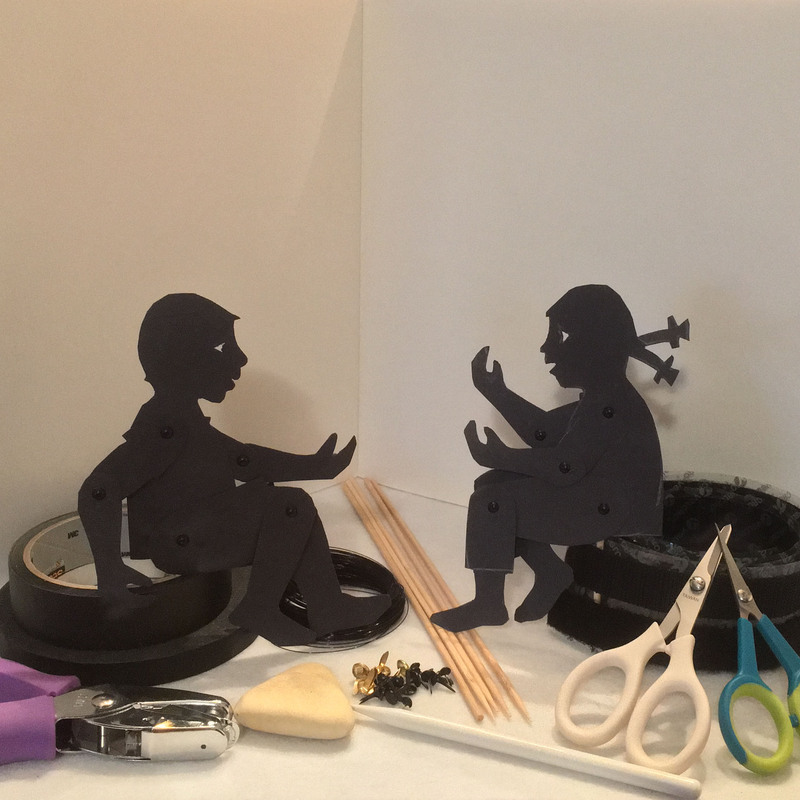 Connect the pieces with small metal brads and create moving and holding rods following the instructions through the links below. If it is too difficult to cut out the shape of an iris, just cut out the contours of the eye and tape a tiny piece of paper behind it. To make the puppet speak stick a little piece of hard velcro on the jaw and attach the soft velcro on top of the moving rod. I’ve included a (silent) video below, showing you how to move the rods. When Sojourner Truth gave her speech in 1851, she was only in her mid fifties and most likely did not wear the glasses yet that she was photographed with at an older age. If you do want to portray her when she was older, you can make glasses from a piece of memory wire that you can find in craft stores among beading supplies. 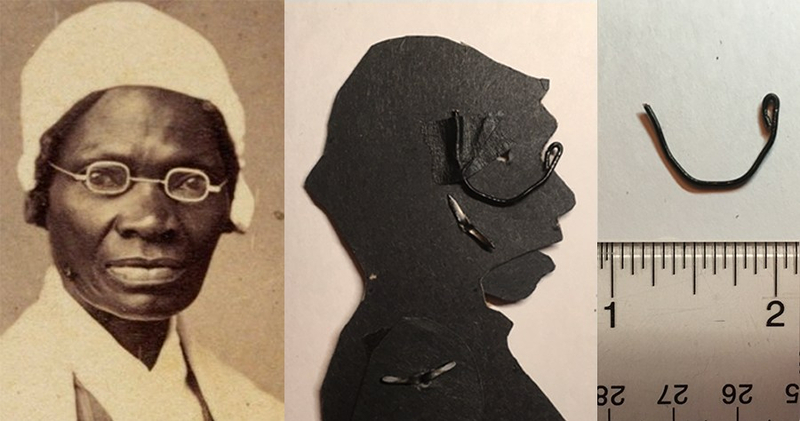 Patterns for the story of the younger Sojourner Truth will be added in the future. Stay tuned! Making a singing puppet: Aretha Franklin! Sojourner’s Words and Music (Sojourner Truth Memorial Committee). 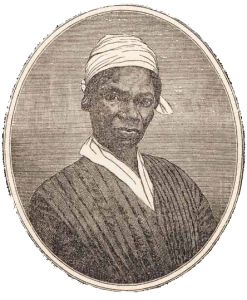 Bibliography and educational resources about Sojourner Truth (Sojourner Truth Memorial Committee). 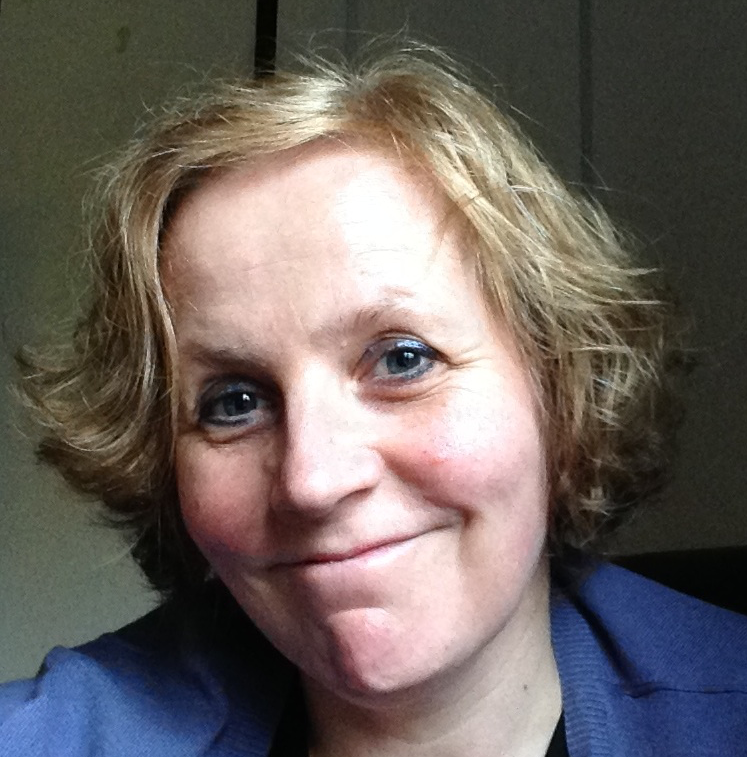 Helene this is fantastic! Your site is beautiful and so easy to understand. Congratulations! !